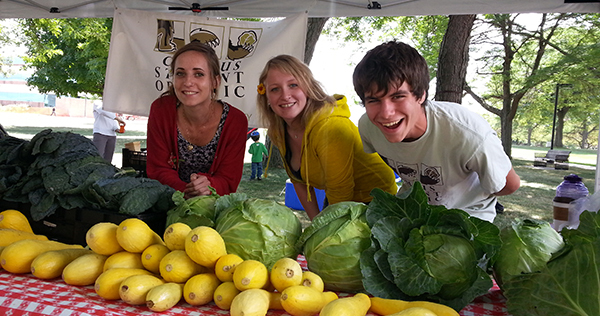 Bring The Farmer To Your School! 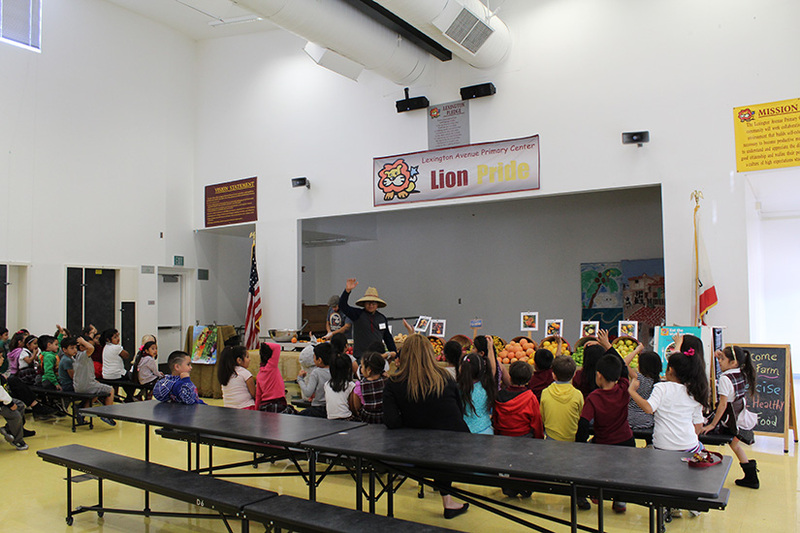 The Bring the Farmer to Your School Program is a collaboration through the support of the California Department of Food and Agriculture’s (CDFA) Specialty Crop Block Grant. 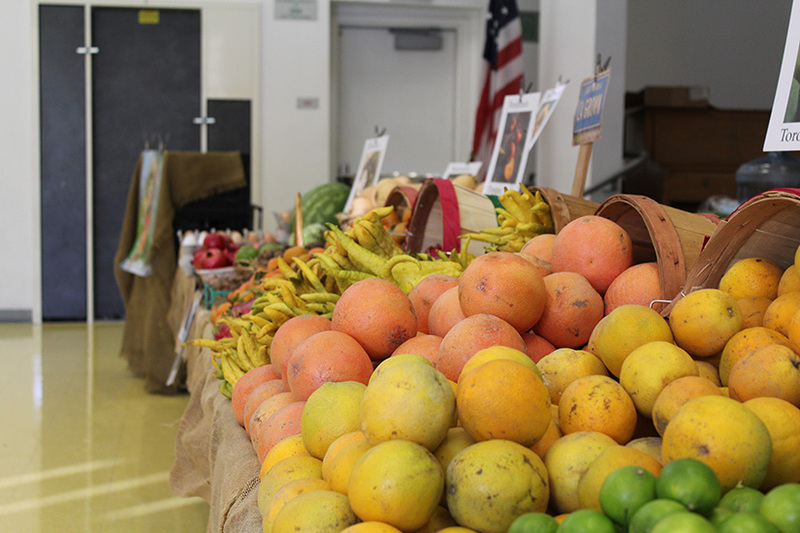 Through this funding, we will be able to bring California farmers into the classroom at Title 1 Los Angeles Unified School District (LAUSD) schools across Los Angeles County to provide students with an incredible learning experience filled with fun facts about farming and fresh tastings of locally-grown produce. The program will also be expanding to provide interactive kids classes at select SEE-LA markets. 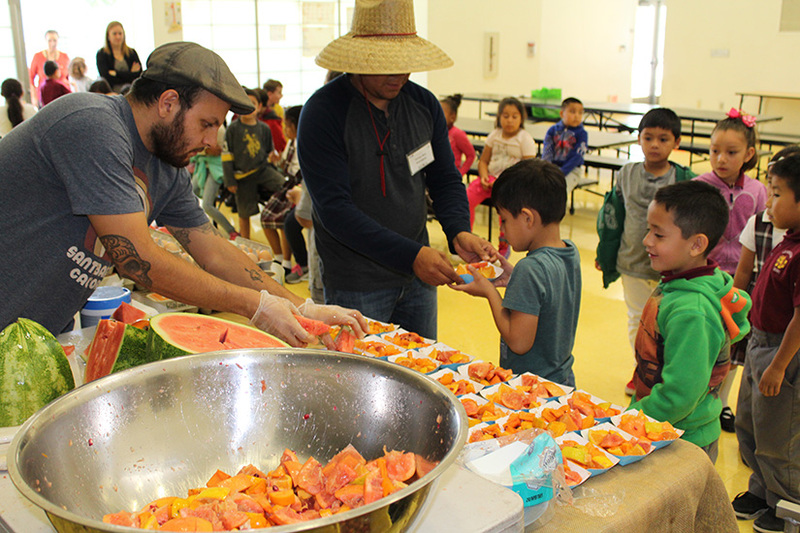 Many times, we have discovered through this program that this is the first time children get to taste a variety of fruits and vegetables. The goal is to reach 50,000 children over the course of the 2-year grant. With your additional support, we would like to reach even more! 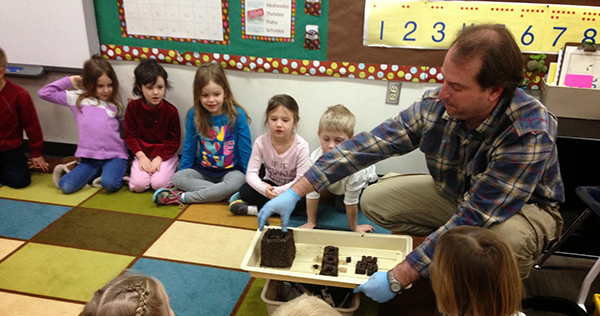 The Farmer in the Classroom format provides students with a 30-minute interactive presentation by a farmer. Visits take place during regular school hours with farmers presenting to 250 students per day. 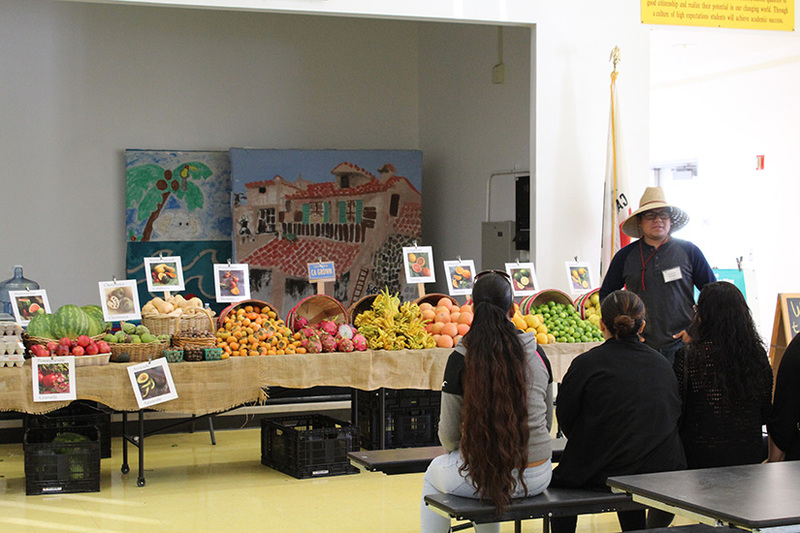 At the end of each presentation students receive a sample of locally-grown produce from the farmer’s personal farm to enjoy. The program is both fun and educational. And a great experience! 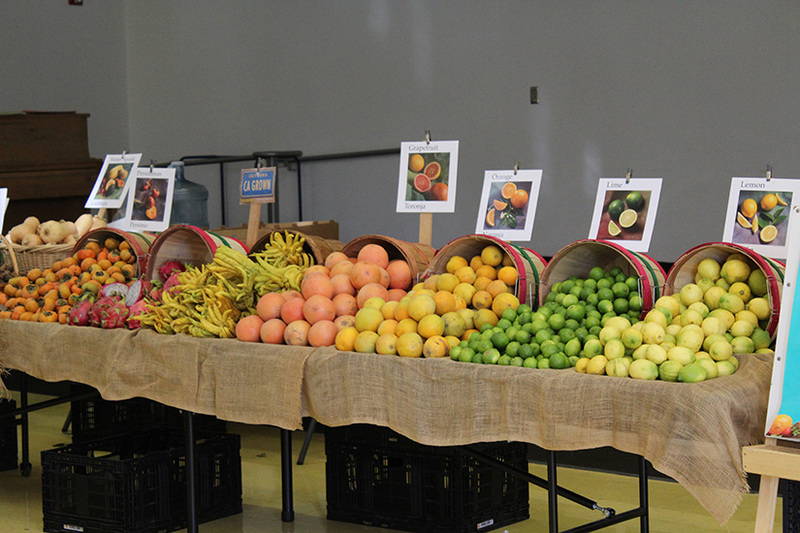 The Farmer Produce Stand format was designed for students to enjoy and learn while participating in a school-wide event such as a Health Fair or Open House. 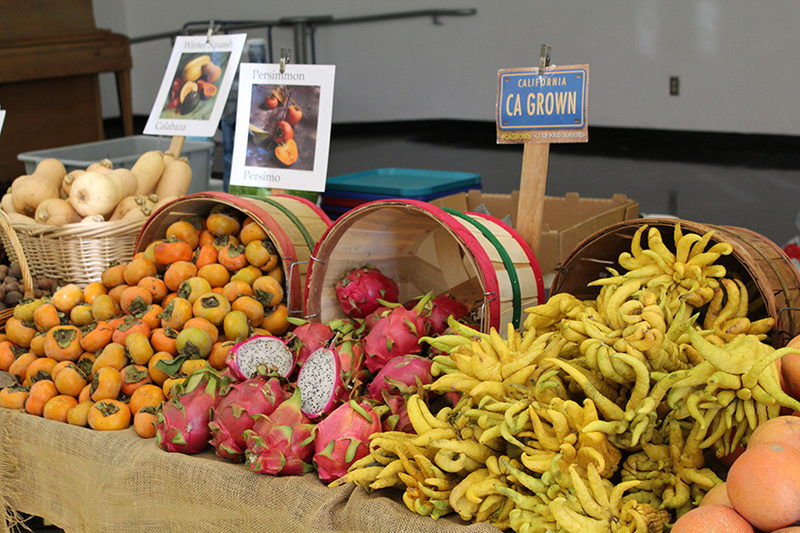 Farmers set up a stand as they would at a farmers’ market and include educational visual aids. 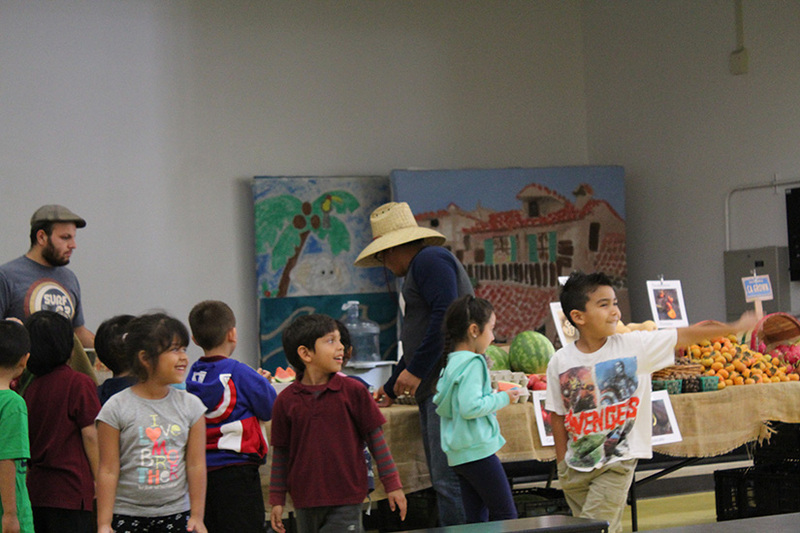 Students visiting the Farmer Produce Stand learn about the farm, healthy eating, and leave with a sample of produce.